Writing an evaluation essay is just like reviewing or rating something, such as a music album, movie, book, action, idea, people, or even someone’s performance. You base your evaluation on a certain criteria that you build up for a particular issue. In other words, you will organize your essay based on your judgement. In taking a stance, make your opinion clear and support your position with an evidence. So, below, there are a few steps on how to write an evaluation essay. Before you start writing an evaluation essay, you have to think of a topic first and decide on which side you are going to take – whether you agree or disagree, like or dislike something. Do a research to make your point of view more clear and justify your argument which will then be stated in your thesis statement. You also have to gather enough evidence to support your standpoint. A clear viewpoint must be laid down with a supporting information to validate your opinion. If you’re asked to evaluate a certain book or an article, then the said material must be read first. You have to examine the material under evaluation before you can make any judgement. Gathering enough information before starting to write will help you make your standpoint clear. You can also make an outline to have a better clarification of your evaluation. Start writing by creating a thesis statement, which should be clearly stated in the introduction of your essay. The introductory paragraph should also introduce the subject under evaluation. You can then give a little background on your topic to catch your readers’ interest. Present the evidence, supporting your thesis statement, in the body of your essay. And after deciding for the main criteria of your subject, support it using quotes, anecdotes, facts, or statistics. You can start each paragraph with a topic sentence that links to your thesis statement. But remember to evaluate the two sides of your subject. You shouldn’t sound biased in evaluating the issue, and make sure that the tone of your essay is always reasonable. The conclusion should wrap your supported arguments, including your standpoint, yet, it should leave the readers with something to think of. 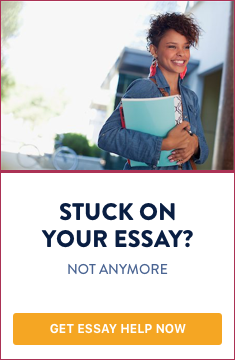 End your essay by appealing to your readers that your point of view is right in such a way as showing that you have clearly understood the material you have evaluated. Proofread your work for spelling and grammatical errors and don’t forget to check the flow and transition of your information. Writing an evaluation essay is like filling out a survey form to rate something. It is a way of finding out how you feel about a certain issue, in the same manner as writing about your point of view on a particular topic. And a sustaining evidence is always necessary to maintain your standpoint. So, to learn how to write an evaluation essay, just follow the above steps.